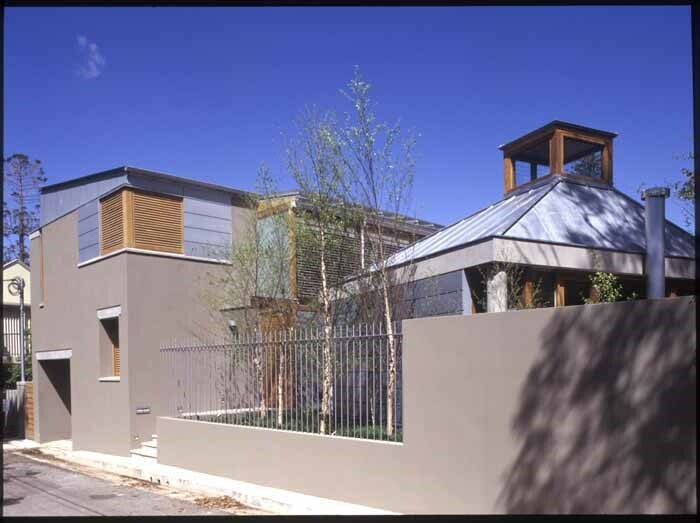 In this feature we focus on our Woollahra houses where we integrated a Victorian cottage in a modern house setting. The Grove in Woollahra, Sydney is one of the suburb’s best kept secrets. Behind a traditional picket fence is a small subdivision that resembles a Victorian children’s picture book. Victorian homes border a private park. And at the end of a path is Andre Porebski’s former home. 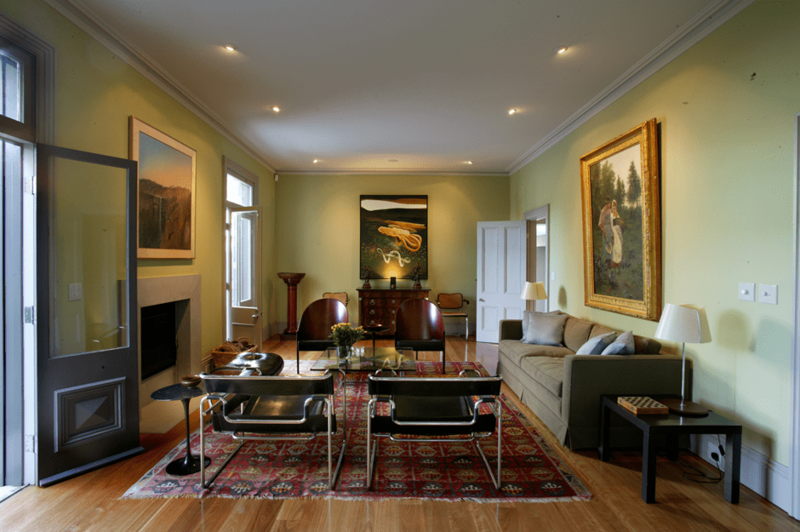 Recipient of the Woollahra Conservation Award in 2004, Porebski’s design successfully introduced contemporary living to this Victorian setting. As well as being picture book perfect, the precinct has historical importance, both for its Victorian buildings and subdivision, as well as being the home of legendary interior designer Marion Hall Best. Best’s store (now a home), where she introduced some of the most important furniture designers of the 20th Century, also borders this precinct. Porebski purchased what was then a Victorian cottage in a derelict state, sitting on land of approximately 1,000 square metres in area. Porebski’s close friend and tennis partner also discovered this rare ‘package’ in the Grove at the same time. 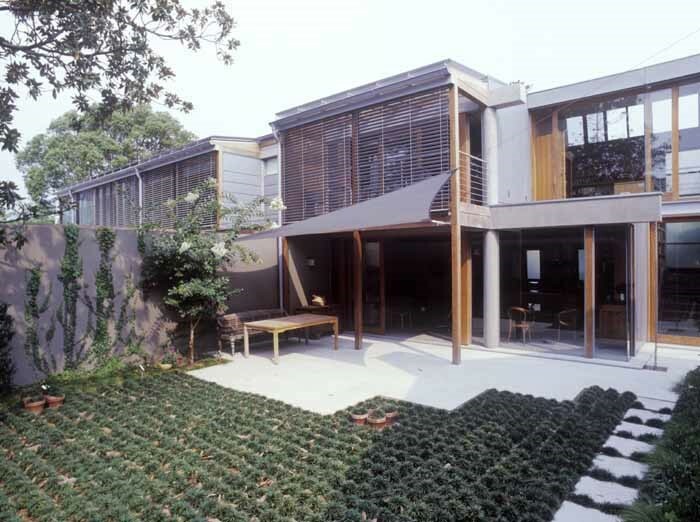 “They amicably agreed to share the property, rather than outbidding each other,” recalls Alex Porebski, who worked with Andre on the design. Porebski bought the cottage and extended this, and designed a contemporary home for his friends, a couple who were scaling down from their family home. “They were more interested in having a completely new house rather than facing the issues involved in restoring a heritage home,” says Andre Porebski. However, unlike many subdivisions, with clear separation of ownership, Porebski included shared facilities in the design, such as basement car parking for six cars. Porebski also sensitively integrated the past into the present with a semi-detached pavilion adjacent to the new home, suggesting the form of the Victorian cottage with its pitched roof. “It’s still quite a magical space. And it’s quite private. There’s no through traffic,” says Andre. “We wanted a contemporary house, but we didn’t want it to say circa 2000. From memory, we used the words classic, but contemporary. It also had to be practical, with sufficient room to have the family for dinner. Fewer, but more spacious rooms” says the owner. 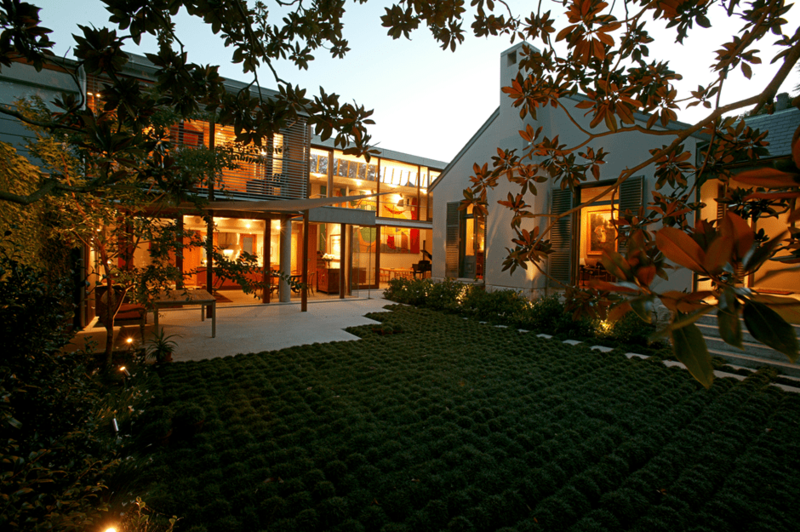 Another aspect of the brief was for a low-maintenance house that was robust for grandchildren. The owners also requested his and her bathrooms, as well as two separate dressing areas. “I was quite specific. I wanted to be able to sit down and get dressed,” she adds. Porebski’s clients weren’t exactly sure what they were getting. The exposed concrete beams in the ceiling, for example, weren’t on the couple’s agenda. 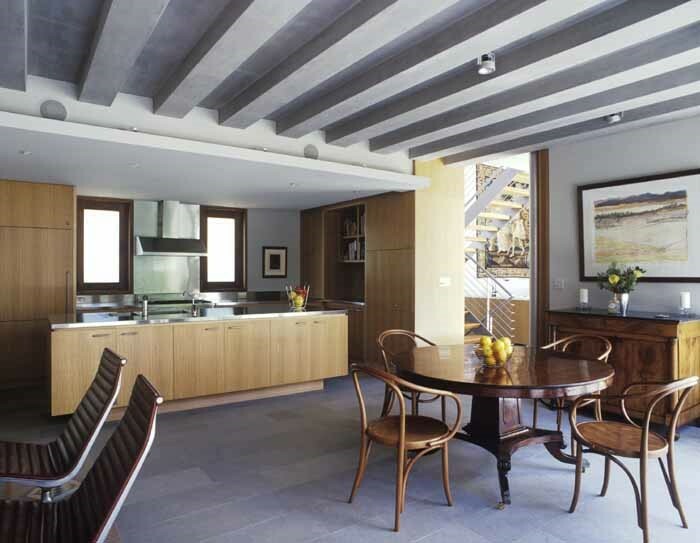 “I told them if they didn’t like the beams they could always paint them or alternatively cover them with plaster. But I knew they’d appreciate this detail once they moved in,” says Porebski. “I didn’t really understand the concept at the time but it’s one of the features that I wouldn’t part with,” adds the owner. One long two-storey brick rendered pavilion extends along the site’s southern boundary to maximise the garden and northern light for both homes. “I love the light. I also appreciate the restrained palette,” says the owner. “It’s essentially glass, timber, concrete and zinc,” she adds. For Porebski’s home, the original cottage was carefully restored and used as a formal living room, library and guest bedroom. And grafted onto this building, via a glazed link, is a double storey contemporary wing, featuring dramatic voids. 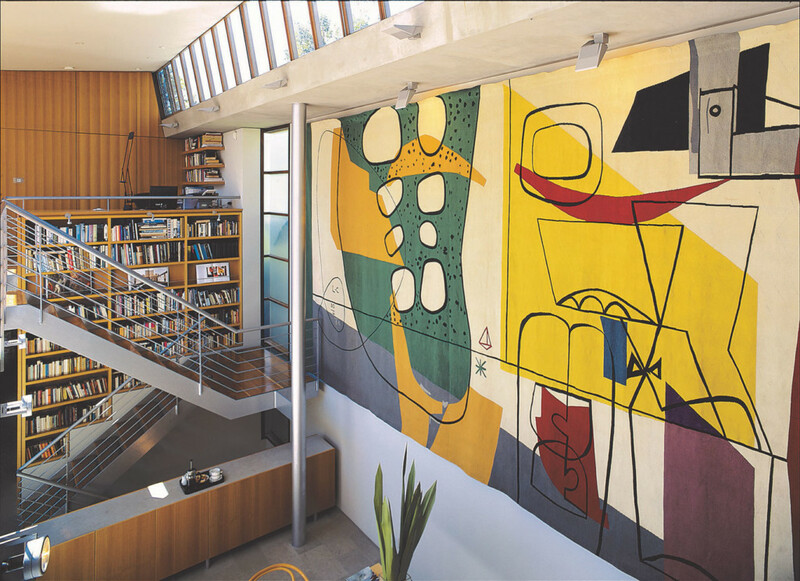 Displayed on one wall in the living area is a rare Le Corbusier tapestry, purchased by Porebski in the early 2000s. “The mural (measuring 8 X 4 metres) was originally commissioned by Harry Seidler in 1956 for his Australia Square tower,” says Alex. In contrast to the 1880s cottage, which received a conservation award from the local council, the new wing has a strong warehouse aesthetic. An open steel staircase is expressed as a feature of the living spaces and blackbutt timber bookshelves extend over two levels. Blackbutt also features extensively in the kitchen joinery and compliments the more robust materials, such as the concrete beams expressed in the ceiling and appropriately back-lit. A credenza in the dining area also partially conceals the staircase which leads to the basement car parking. The heritage pavilion is more classical but contemporary in style and detailing. The main entry to the client’s new house. Unlike the cottage, which has an inward focus, the contemporary wings are linked to a northern garden via large glass and timber sliding doors. While Porebski sold the Grove property a few years ago, the owners of the adjoining house are currently putting in a lift to ensure they can stay on. “We don’t really mind the stairs. It’s just getting suitcases up and down the stairs every time we travel,” says the owner. And although they did contemplate moving to an apartment at one stage, they couldn’t leave the spaces they love dearly. “This house is still exactly what we need, even though we’ve been here for ten years”.